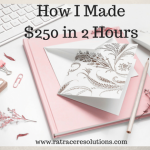 Are you looking for more/new ways to make more money with your blog? Or perhaps you’d like more subscribers. 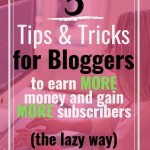 If so, then check out these 5 tips and tricks to make money or gain subscribers. 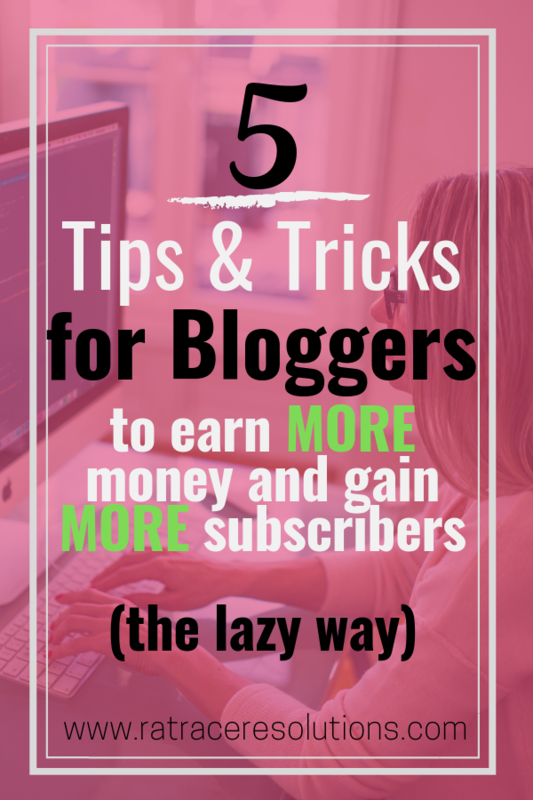 These tips and tricks are what I refer to as the lazy bloggers guide to bringing in more money and/or subscribers. These tips require minimal effort but can still help you make a sale or gain subscribers. Are you utilizing your website to the fullest or to your advantage? Look at the footer of your website and see what’s there. Bloggers don’t think that readers are paying much attention to the footer of websites but au contraire mon fraire. I always find myself checking out the footer of a website. For one you can often find information you should be aware of such as the disclosure or privacy statements of the site. You can also find out what theme the blogger uses or who creates the theme. Not everyone utilizes their footer in this way or has this type of information in their footer, but some do. However, you might want to start adding a certain bit of information to the footer. What information you ask? Who the host of your footer is, that’s what. Why? Because if you’re an affiliate of your hosting site you can put the name of the site at the footer of your website to tell people what host you use and use your affiliate link as the link. So, for instance, you can say something like: “Hosted by_______” and use your affiliate link as the URL. So, when curious readers want to learn more about your hosting site they will click on your link. If they are in the market for a hosting plan and purchase one, then you get the credit for that sale and earn money. Congratulations you’ve just made money from an affiliate sale. Since others may be curious about your hosting site, theme, etc. why not make it easy for them to find that info while making money from it as well. You can do the same with your theme, or any other affiliates you are a part of that may fit well at the footer of your website. I became curious as to what linktr.ee was and clicked the link and saw 3 more links. Two of them are eBooks they sell, and the other link is the actual website. I thought to myself what a cool way to display all the links you want readers to see. You use one link that they click on and then you see many more. If you’re like me and don’t use Instagram then you can still put a Link Tree URL on your Twitter and Pinterest accounts. In fact, there’s nothing to stop you from placing a Link Tree link on either of those profiles although people mainly use it for Instagram. Do you have a pin that’s popular or one you want to get some love? Then here’s an easy trick. Just embed the pin in your blog sidebar. This can bring you tons of repins. Pinterest loves when your pins get a lot of repins. They will see you as a quality resource and boosts the appearance of all your content in its smart feed. 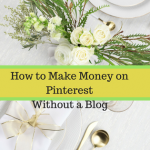 Don’t feel like making a pin image for your blog post? 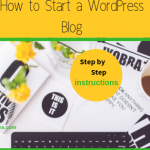 Use an info graphic that pertains to one of your blog post (a commercial free info graphic or a free one) and then for the URL link of the pin use your blog post URL. Just make sure the infographic relates to the blog post! You don’t want to “trick” people into visiting your blogpost only to find the information isn’t relevant. We only want to do “good” tricks here. Nothing spammy or deceptive. I shouldn’t have to even say this but always make sure you’re disclose affiliate links. Or, create a pin that reads like an article. For example, you may have a pin that says, “how to ask for a raise like a boss”. Then link the pin to an opt in landing page where you have to an opt in/subscribe to your website to get the ebook, PDF, or whatever that relates to asking for a raise. After they subscribe they get a PDF article, cheat sheet, or whatever, that pertains to what the pin is about. Speaking of repins…Want even more? Then you should consider joining the various Facebook groups that focus on Pinterest repin threads. There’s one called Pinterest Ninjas. 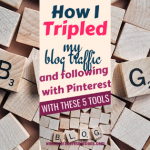 The owner of the group has a website as well that focuses on all things Pinterest and marketing to grow your following and web traffic and more. 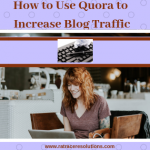 She also has a terrific ebook that no blogger should be without. Here’s another trick/tip. Did you know you can make money on Twitter as well? Either through sponsored tweets or just simply getting your affiliate tweets in front of tons of people. The more people that see your tweets with your affiliate links, the more likely you are to get sales. That goes for other types of tweets as well. If you want to get your tweets retweeted than having Retweet Chores is a MUST. So now when you join those Facebook Groups that focus on Twitter and Twitter retweets you’ll be able to breeze through those retweet threads. I mean who has time to participate in the thread and then manually retweet each person’s tweet? That’s where Retweet Chores comes into place. With a few simple clicks Retweet Chores will retweet hundreds of tweets that you tell it too in just one click. It’s so simple and easy. I sure wish I had discovered this handy tool way before now. It’s $10 a month but if you are serious about making money onTwitter than you should join Twitter Groups on Facebook such as Twitter Marketing Group and CommunIT. CommunIT also has a program strictly for growing your income and followers on Twitter. 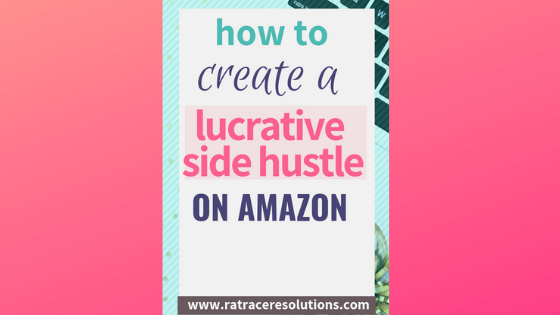 There are lots of various ways to get affiliate sales, subscribers, followers, and engagement. 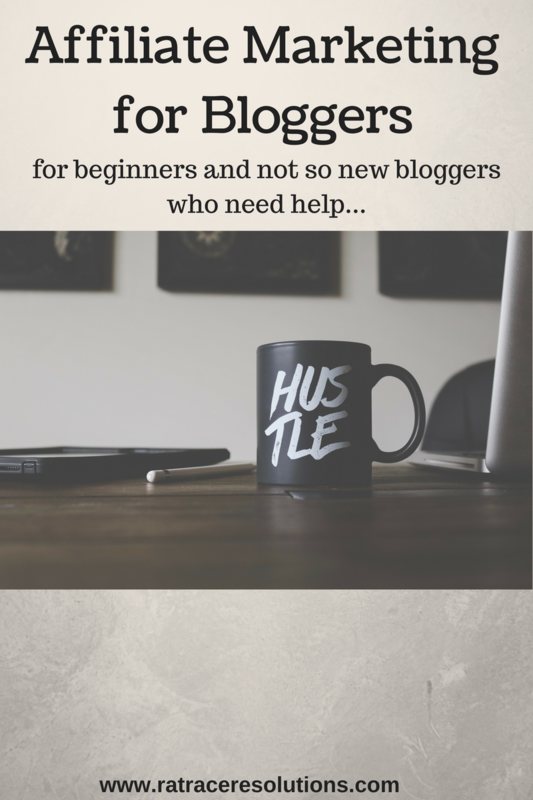 You just have to put on your thinking cap and review all the avenues and tools bloggers have access to. First, you’ll need to create a Group Board on Pinterest that you want others to join. Then you’ll need to create a page or landing page on your website. Then write down the URL of the page/landing page. In your instructions on how to join your Group Board, direct people to the page/landing page URL. 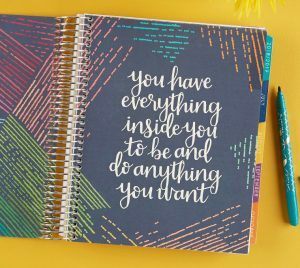 The page that you create where people can join can have anything you want on it. But whatever you include, be sure to ask for an email address so that you add them as subscribers to your site. Be sure to let them know that you’ll use their email address to send them email stuff. Or say something like “fill out the form to subscribe and request to join the board”. That way they know when they are requesting to join the Group Board, they’re also subscribing to your website. They can always unsubscribe if they want to later even if they stay a part of your Pinterest Group Board. 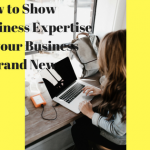 Other things you might want to include on your landing page include any guidelines you require for joining your Pinterest Board, and a list of all your Group Boards open for joining (they can check which ones they want to join). Did you read all the rules and agree to them? What’s’ your blog or website? Your membership in my Group Board if for special subscribers only. You’ll also receive information and tips on _____, as well as invites to collaborate. These are the 5 tips and tricks for increasing income and subscribers. Remember-increase in one area often leads to increases in another. An increase in subscribers can mean more sales, which means more income. An increase in retweets or repins with affiliate links on them can also lead to more income. You can see how one thing can lead to another and how all your efforts are connected. Each area deserves attention and nurturing because each one trickles down into the other areas. Blogging effort are all interconnected. Share with me any trips and tricks that have been successful for you.